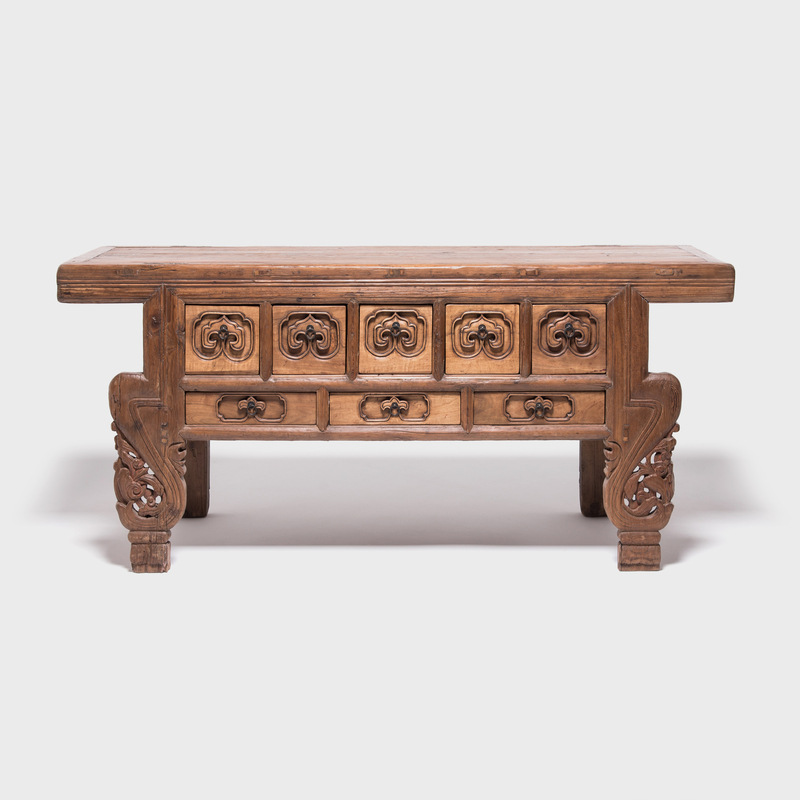 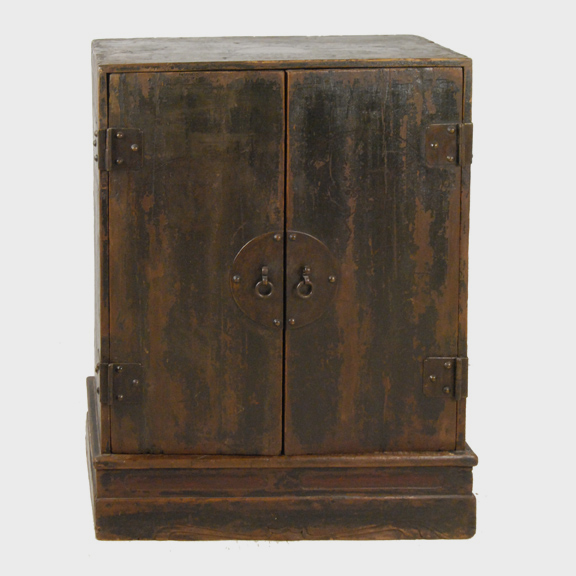 W: 76.25" D: 26.25" H: 32.75"
Since it was made in Shanxi province 150 years ago, this elmwood altar coffer went from having the six drawers on the bottom to having a complete set of ten drawers. 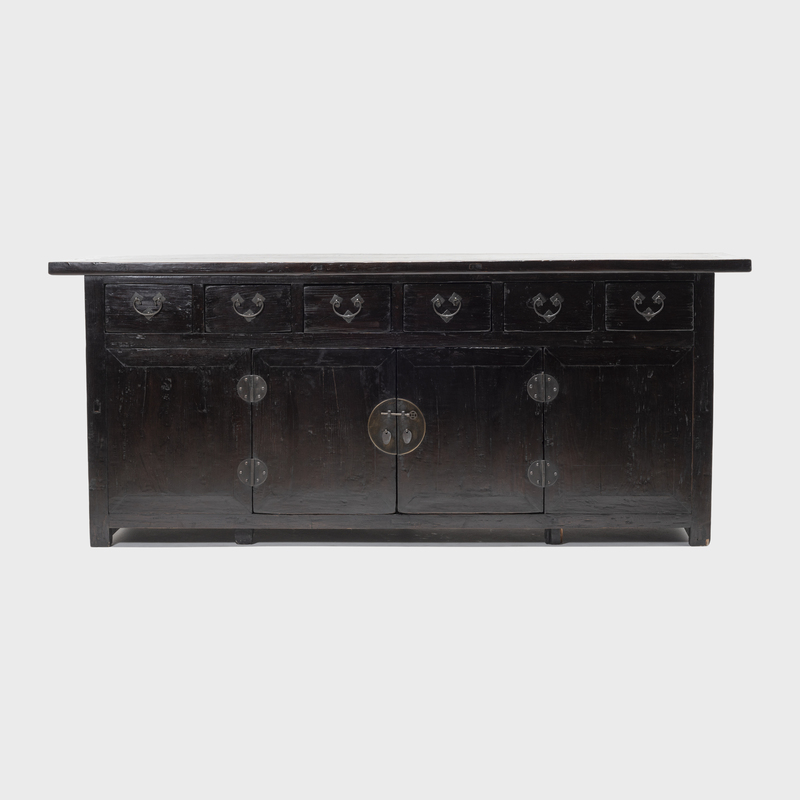 Perhaps intended for ritual purposes, the cabinet may have also been used domestically to provide general household storage. 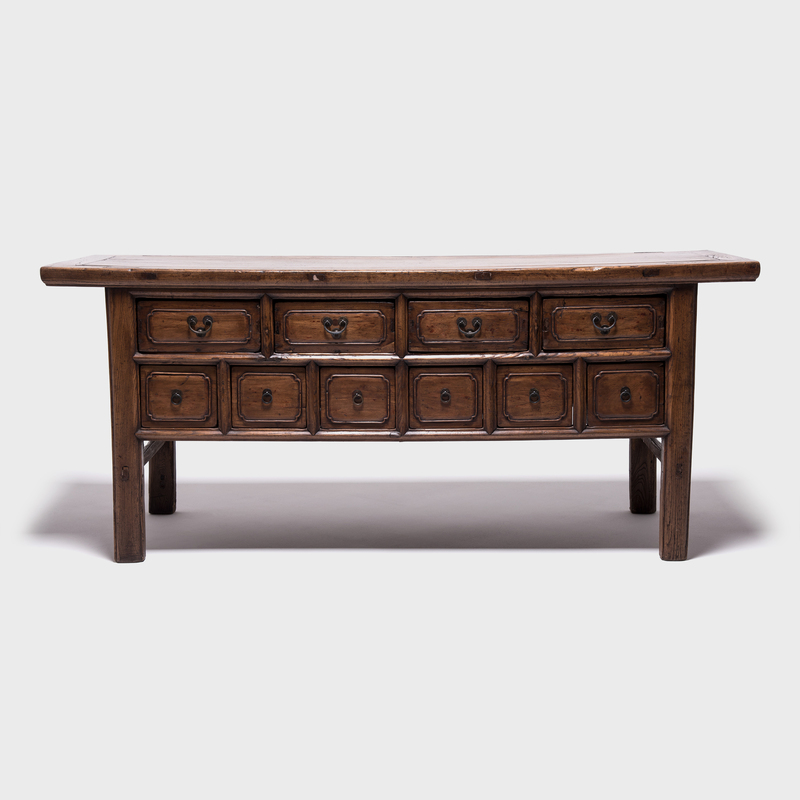 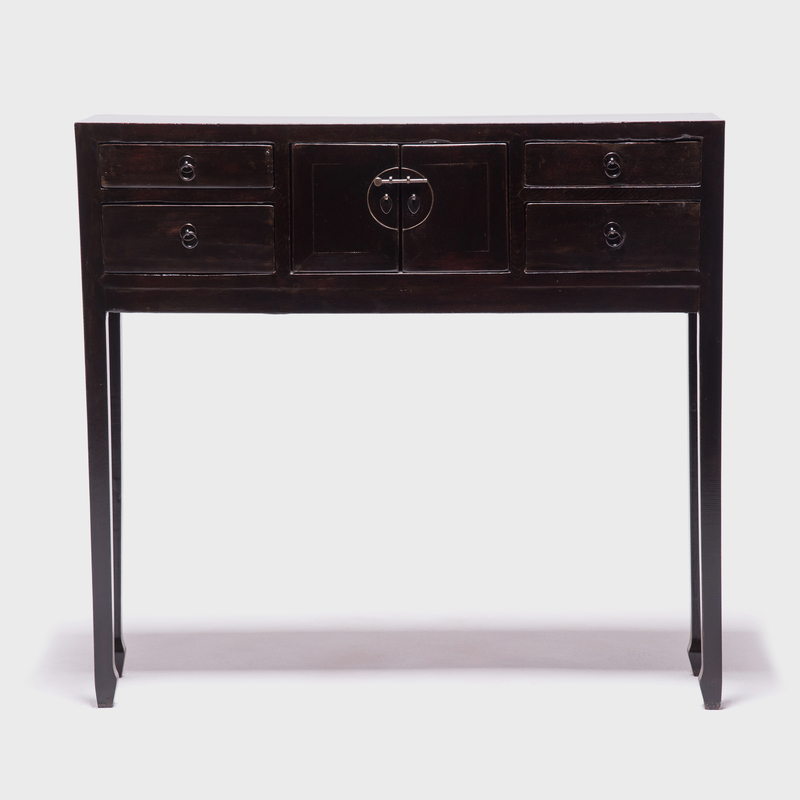 With all its compartments, the coffer would play well as a dining room sideboard, entryway table or office credenza.